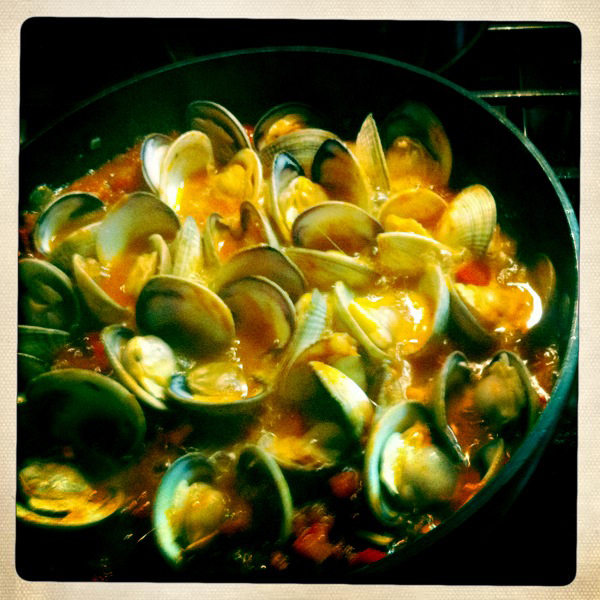 this was my first foray into making clams this way, and it turned out so well i will surely do it again. fyi, most clams you get at grocery stores and fine fish markets have already been purged of the sand, but it is always a good idea to ask. also, i have gotten clams from 2 different vendors at different farmers markets and one purges them and one did not. again, it is a good idea to ask. sandy clams are a really good way to ruin a delicious meal. in a large sauté pan (with a lid) heat the oil, toss in the garlic, red pepper flakes, bell pepper and cook until soft and golden, about 5 mins. add the tomato sauce and wine and bring to a boil. 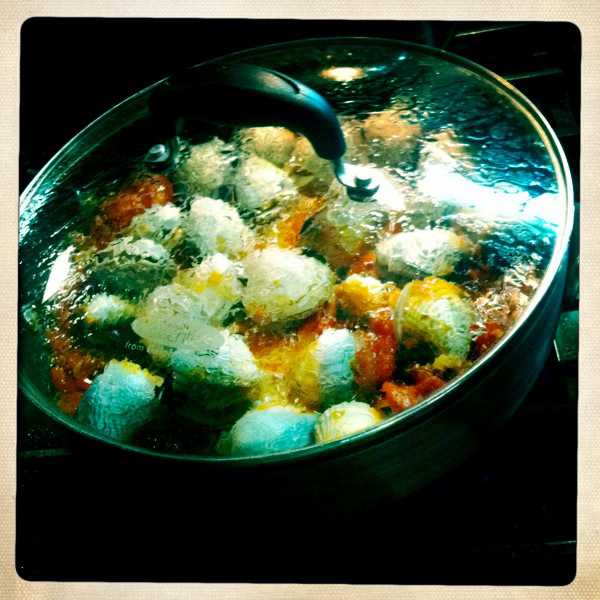 add the clams, stir around a bit so they are not on top of each other, and put the lid on. wait for the clams to open. they should open within about 5-8 minutes, and if not throw out the ones that don’t. 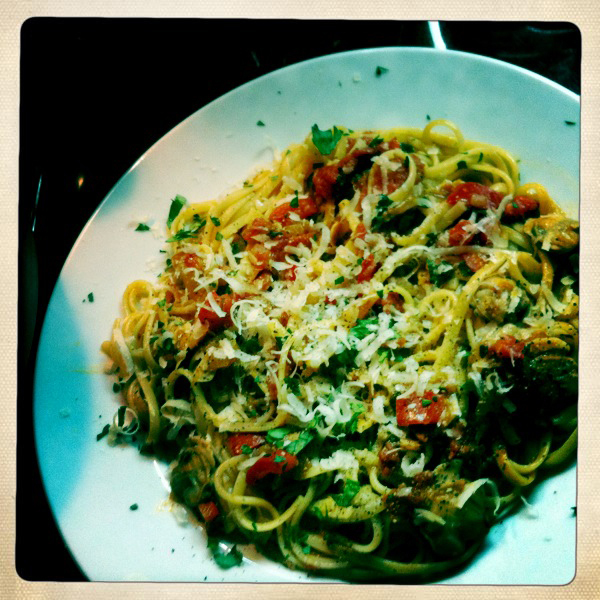 use a fork to take the clams out of their shells, toss in the fresh parsley and cooked linguine . add s+p to taste. serve with grated parmesan. but you don’t like clams? maybe if i take them out of their homes for you, douse them in delicious tomato sauce and smother them in cheeses, you would like them? These do look incredibly good.